You made it through the whole night without breaking any wine glasses! (Even with KROK here, so it’s pretty much a Passover miracle). You waited impatiently for hours during the Maggid (the telling of the Passover Story), asking yourself questions such as: Why is there an orange on the seder plate? Why are there olives? Why is there a baked sweet potato on it too? (Okay, clearly this was not the most traditional of seders…). Is it totally violating my vegan-ethics and morals to eat a matzo ball? As Jews, what is our commitment to social justice? How can I embody these anti-racist, politically progressive, humor- and reflection-filled values in my everyday life? Do I use the feminine or masculine form of this prayer? How does the feminine version go – and what does it mean that I don’t know it off the top of my head, like I know the masculine version? How many more cups of wine do I get to drink? Where did my mom hide that afikomen? She hasn’t even stood up from the table yet but it’s nowhere in sight! 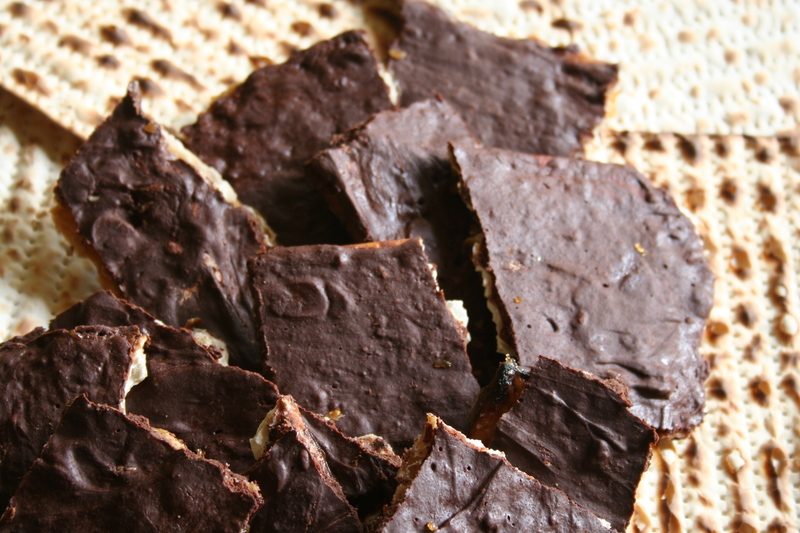 Matzo Brittle! This is the batch from this year. 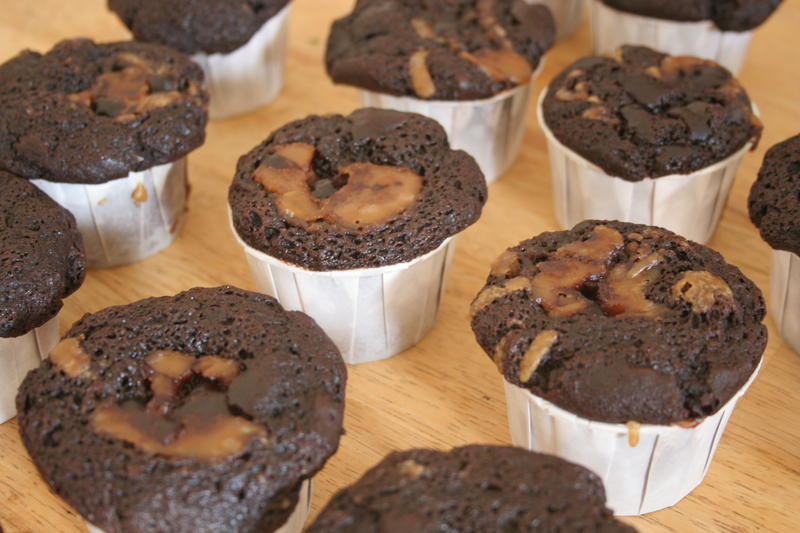 Here’s the batch from last year, and here is lovely Hannah’s recipe for this delicious and addicting Kosher-for-Passover treat. *Also, if you’re looking for a fabulous progressive, inspiring, interesting, “choose your own adventure”-type Haggadah, you can download the Love and Justice in Times of War Haggadah here for free. It is a great resource, moving, and very important and very inclusive. 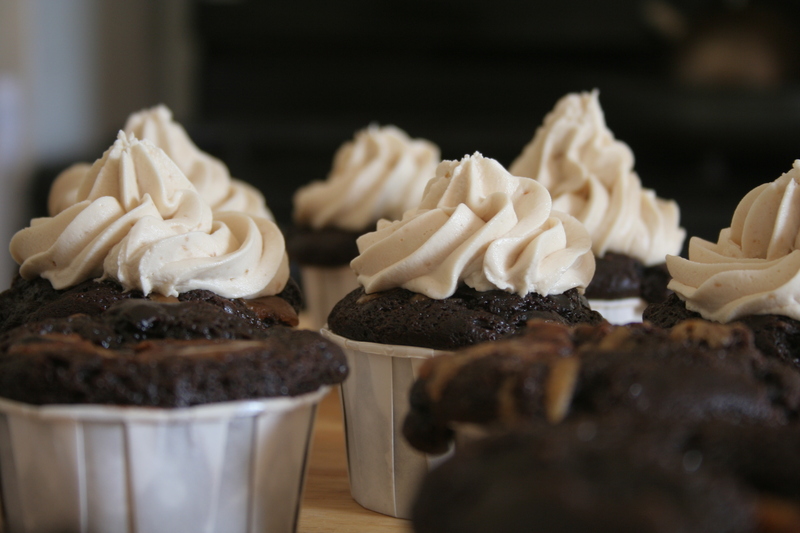 I made these cupcakes a few weeks ago, but somehow haven’t gotten around to posting them till now…They were AMAZING. My friend Julie gave me the idea to make pineapple upside down cupcakes (way cuter than the traditional larger cake size! Each cupcake had it’s own round pineapple slice topper, and when flipped over, the cone shape of the cupcake is unusual and very appealing). I sliced each cupcake in half horizontally and put a thick layer of Toasted Coconut ice cream in the middle, like a sandwich. I used a coconut milk-based vegan ice cream that came from Maggie Mudd, which has been my favorite vegan ice cream brand that I’ve found so far (and it’s local! ); I also like it because there’s no soy (or dairy, of course) involved and it is still rich and creamy and delicious. To make it really taste like a Piña Colada, this cupcake definitely needed some rum! 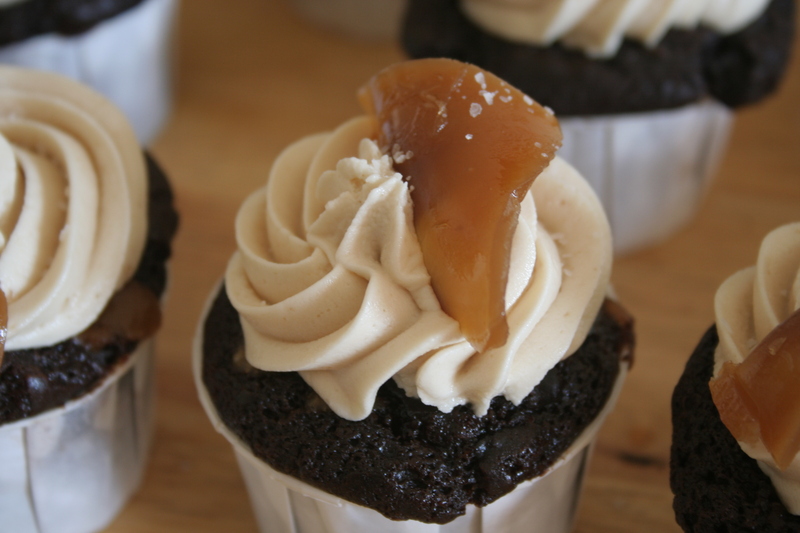 So I whipped up a rum-caramel glaze and poured it over the cupcakes. The warm glaze was delicious and complimented the cold ice cream, although it started melting the ice cream right away and so my picture is a bit melty-looking. The combination was great though, and the whole cupcake had a distinctly tropical flavor. To give it more of a cocktail look, we stuck an umbrella-toothpick in the top and a maraschino cherry for good measure. *You will also need coconut flavored ice cream, brand of your choice! Preheat your oven to 350 degrees. Spray cupcake pan with non-stick spray, making sure to cover the sides. Mix together flour, sugar, baking soda, salt, and set aside. In separate bowl, mix pineapple juice, rum, applesauce, and vinegar. Lay pineapple rounds on the bottom of the pan, one in each cupcake spot (you may have to cut the rounds and place cut edges back together to make smaller circles, to make them fit. At this point, you could also choose to take cherries and stick one in each of the pineapple holes, but we chose to add the cherries after baking. Sprinkle pineapple and cherries evenly with a little bit of brown sugar. Quickly mix the wet ingredients with the dry. Batter will foam up nicely. Pour into pan immediately and bake for about 18-22 minutes, or till center is firm and tops spring back when touched lightly. Leave cakes in the pan for 5 minutes to firm up, and then remove before the bottoms caramelize and stick too much to the pan. When cupcakes have cooled completely, cut them in half horizontally and spread ice cream in between the layers (it helps to have softened the ice cream out of the freezer just a bit before spreading). To make the sauce, cook all ingredients in a small saucepan till boiling. Cook for only 1-2 minutes after boiling, and then remove from heat. Let it cool slightly, but not too much or it will become too thick (you can always heat it up again quickly and it will thin out). Drizzle over the top of the cupcakes, and place an additional cherry on top. Eat immediately! I’m entering these cupcakes in the Ice Cream Cupcakes contest hosted by Cupcake Project and Scoopalicious! Make sure to check back there in the first week of June for a roundup of ice cream cupcakes. And when it’s time to vote on the best cupcakes, please vote for me! I’ll put up a reminder post here, so you can make sure to go vote when the times comes! Thanks! Honestly, I had never heard of this decadent treat before, but it is my friend Julie’s Passover family tradition, so we made it together. It is incredibly addictive and I had to make a second batch because I ate too much of it before the Seder! Here are some photos of the process. 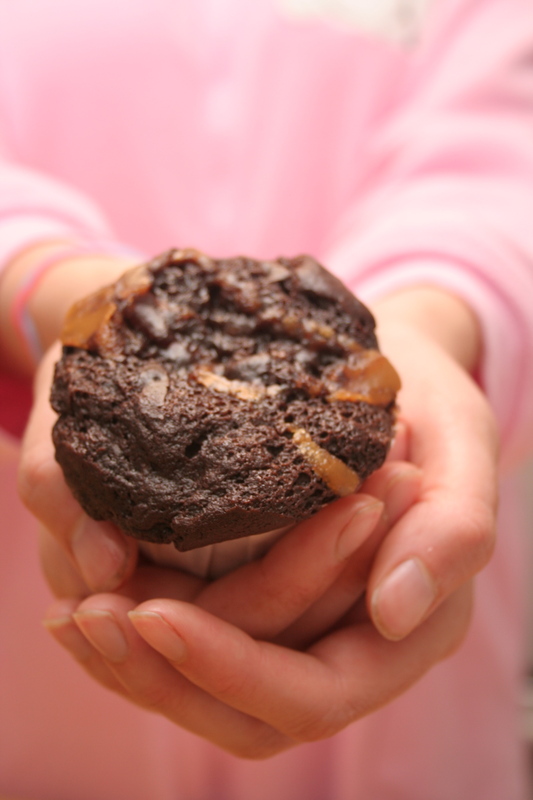 The recipe is very easy, it’s just a matter of making sure you spread the caramel when it’s at just the right consistency, before it cooks too long and burns! Hannah Kaminsky has a good version of the recipe on her blog, which can be seen here.